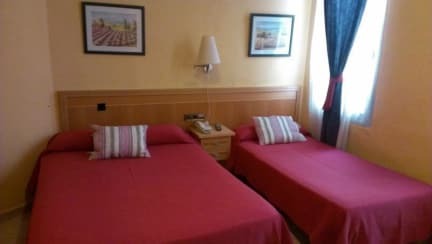 Hostal Cruz Sol, Madryt, Hiszpania : Rezerwuj teraz! SI HUBIESE ALGUN DESPERFECTO SE ABONARA POR ELLO. 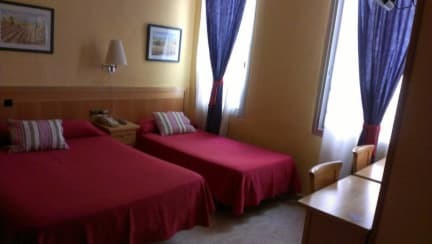 Just 20m from Plaza Mayor and 50m from Puerta del Sol, Hostal Cruz Sol is ideally located for all sightseeing at all the major tourist attractions. We are close to all the most important museums including Museo del Prado, Museo Reina Sofia and Museo Thyssen. You will also find the historical city centre where you can visit Palacio Real, the Plaza Mayor and the Cathedral. Our hostel has 10 quiet and comfortable rooms and our privileged location allows our guests to enjoy a wide range of entertainment too including bars, discos, theaters and cinemas. If shopping is your thing we are just 100m from the El Corte Ingles department store and Preciados Street.